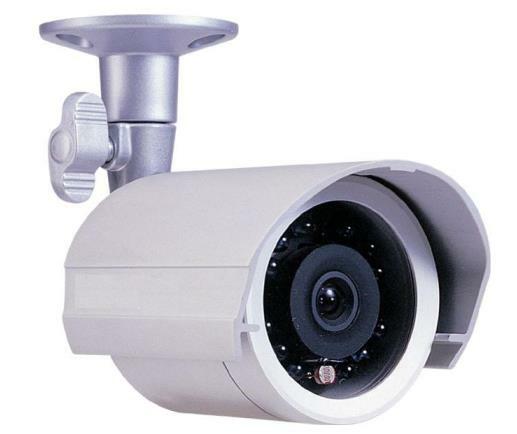 This stylish small outdoor security camera features a 1/3" Sony CCD sensor with 540 lines resolution. The SCR351 uses 12 standard size LEDs and 4 larger LEDs to provide up to 70 feet of IR illumination. Displays vivid color in daytime and automatically switches to B/W at night. Its silver metal outdoor housing has an IP66 rating providing protection from wind driven rain, sleet and snow. Comes with a 4.3mm wide view lens.